Fiber cement is a great siding option that offers many advantages over other siding materials. 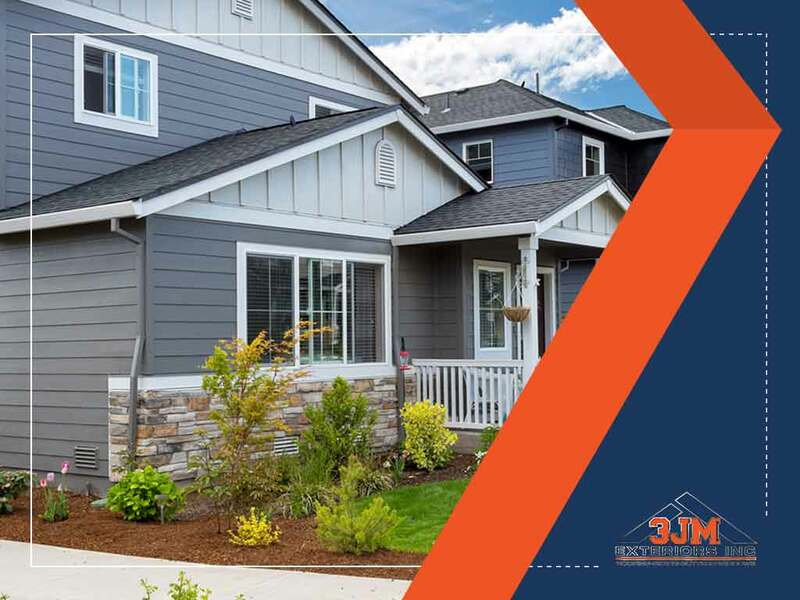 If you’re trying to decide whether or not to choose fiber cement siding, general contractor 3JM Exteriors, Inc. discusses important things you should know about the material. In addition to the popular horizontal lap siding, fiber cement siding is available in other styles, such as board-and-batten, vertical lap siding and authentic-looking wood shakes. The thicker profile allows deep relief, which creates realistic wood grain even when painted. It can even mimic the texture of other materials, including slate and wood shakes. When properly primed, fiber cement siding can be painted with any color, which gives you more flexibility in choosing your exterior color palette. Alternatively, manufacturers like James Hardie® offer custom factory-applied coatings that are warranted against cracking, peeling, or bubbling. Whichever method you choose, fiber cement won’t require siding repair and repainting as other siding materials. It is also on par with vinyl siding in terms of maintenance requirements, or, more accurately, the lack of it. Thanks to its combination of wood fiber, cement and fine silica, fiber cement siding expands and contracts evenly when exposed to temperature extremes. What you get is siding that won’t warp or crack, and keep its shape no matter what the outdoor conditions are. The James Hardie HardieZone™ Technology makes sure that their fiber cement products, when sold and installed by a contractor, are designed for the local climate. The right kind of siding can complement the exterior wall insulation, as well as the energy-efficient windows and entry doors your home may have. While there are siding options that feature insulated cores, fiber cement is made of the same inherently insulative material through and through. Combined with its thick profile, it can help reduce heat loss during winter and heat gain during summer, resulting in significant energy savings. 3JM Exteriors, Inc. is your leading provider of fiber cement siding and window replacement services. Give us a call at (630) 882-2422 or fill out our contact form. We serve clients in Naperville, IL, and surrounding areas.